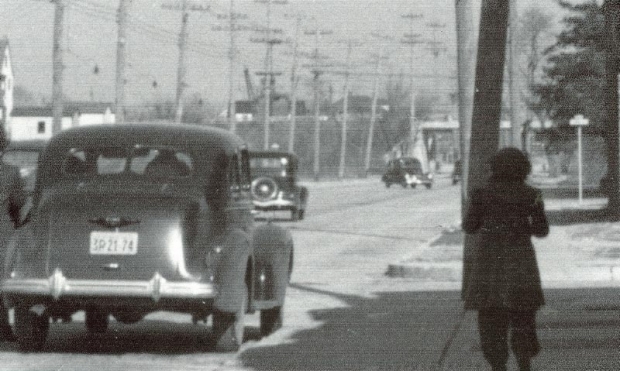 In the third of the My Motor Parkway Story series, Bob Valentine, assisted by his wife Ruth, provides the background behind the Motor Parkway historic marker located on Willis Avenue in Williston Park. 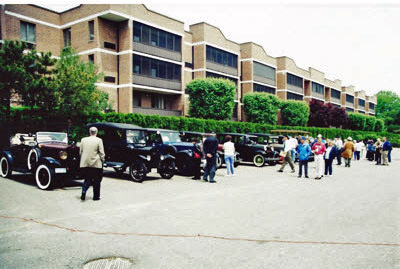 Those of you who have never before been to our new Greater New York Region of the AACA meeting hall, Williston Park American Legion, may be unaware that the north parking lot is part of the former Long Island Motor Parkway. It is not easy to see in the dark, but during the day time the roadway is easily recognizable. As a member of the Williston Park Historical Committee, I was able to get a historical marker placed at the intersection of Willis Avenue on May 18, 2003. 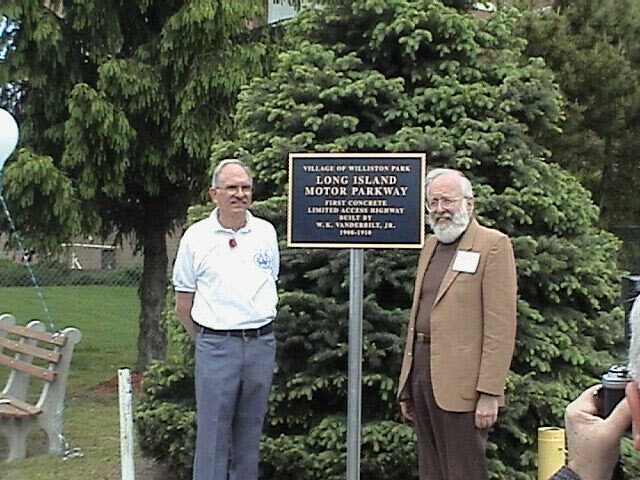 Sam Berliner III (right) and I (left) made presentations during the 2003 historical marker ceremony. Several GNYR members brought their antiques adding to the festivities. Photo courtesy of the Williston Park Historical Committee. They even created a mock traffic jam. 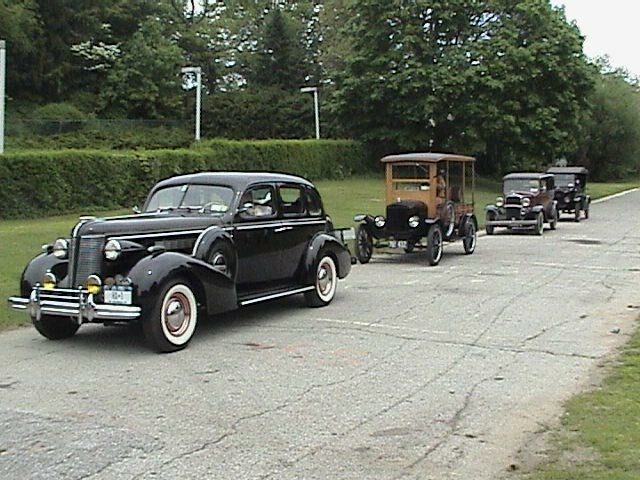 Photo courtesy of the Williston Park Historical Committee. Ruth Valentine brought her 1931 Motor Parkway E-Z-Pass. 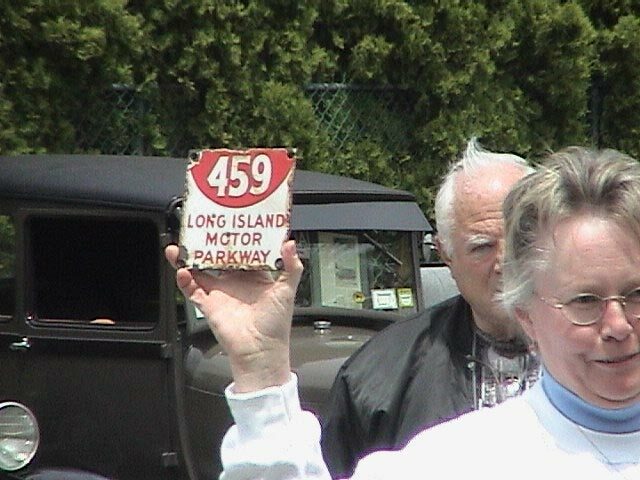 The Long Island Motor Parkway officially closed on Easter 1938 and sections were given to the three counties, Queens, Nassau, Suffolk, in lieu of back taxes. 2002 photo courtesy of the Williston Park Historical Committee. 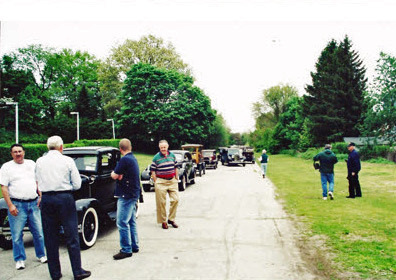 The American Legion Post acquired its property and built the building in 1947 and worked out a deal with the county to use the Long Island Motor Parkway right of way for parking. 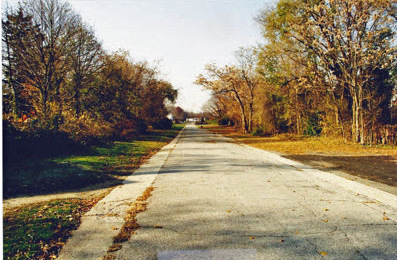 This agreement was grandfathered when the Village of Williston Park acquired this right of way from the county in 1960. 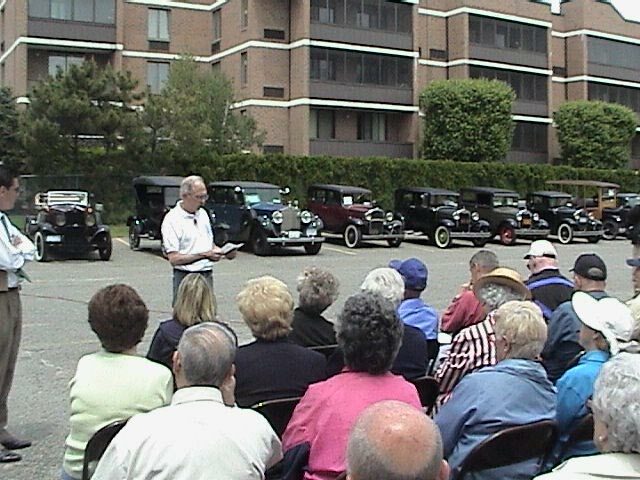 Photo of the 2003 ceremony courtesy of Howard Kroplick. The Village of Williston Park built a swimming pool at the east end adjacent to the Long Island Railroad Oyster Bay Branch. 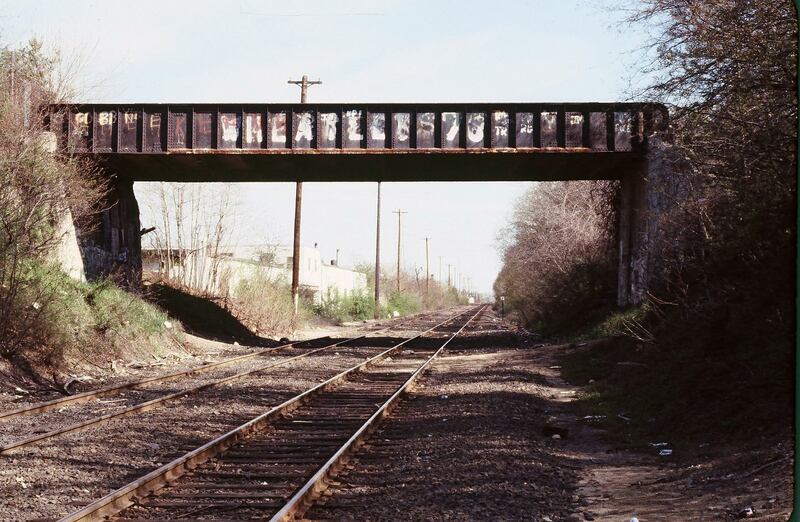 The bridge over the Oyster Bay Branch was removed in 1983. Photo courtesy of Ron Ridolph. Bob , thanks for the information; you and Ruth have done so much to preserve the LIMP , and make others aware of it’s importance and history. All of us owe you two, Howard, Al and the LIMP Society sincere thanks and continued support for this worthy preservation project. Sam the first car in the color photo of the ‘parade’ is a 1937 Buick series 80(Roadmaster) , the second (below), the black & white photo shows the back of a 1937-38 Buick. Sorry no 1939 Chrysler, my source is standard catalog of American cars 1805-1942.